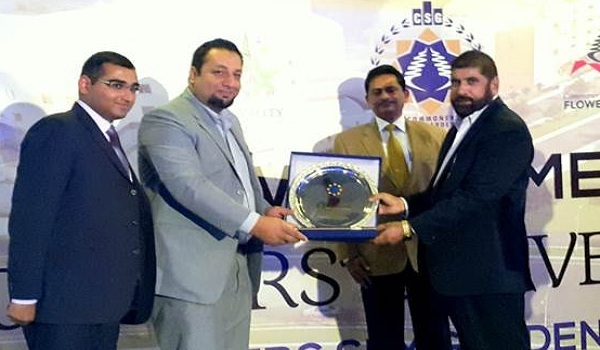 Zameen.com, the No.1 property portal of Pakistan, participated in a Dealers Convention organised by Commoners Sky Gardens on November 22, 2014. The event was held at Margalla Hotel, Islamabad, and was attended by a number of real estate professionals including 200 estate agents working with Commoners Sky Garden and Zameen.com. The event was arranged to re-launch Commoners Sky Garden for booking. Zameen.com Business Development Manager Mr Syed Adeel Nasir and Account Managers Mr Zahid Khan and Mr Hashim Mahmood represented the portal at the event. 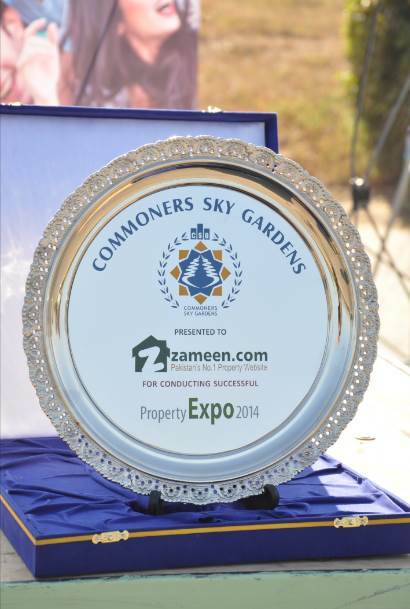 Commoners Sky Gardens was one of the exhibitors at Zameen.com Property Expo 2014. In order to appreciate Zameen.com’s successful organisation of such a massive real estate event, Commoners Sky Gardens CEO Mr Chaudhry Muhammad Ismail presented Zameen.com’s representatives a shield. Located on Murree Expressway, Commoners Sky Gardens offers residential plots, apartments, and commercial units. It is approved by the Capital Development Authority and other authorities concerned. The infrastructure of the society is almost complete and properties with the allotted numbers can be booked there, which clearly indicates the society’s future potential for growth and investment.